There were 50 attacks on Ukrainian Armed Forces’ positions in the last 24 hours. Militants used different kinds of weapons including those which are banned by the Minsk Agreements. The situation is Avdiivka vicinity is the hardest, according to the information of the ATO Headquarters. Andriy Lysenko, PA spokesperson on ATO related issues reported that one Ukranian serviceman perished and seven were wounded in the last 24 hours. While talking to the local residents he said that that Ukrainian authorities are ready to conduct elections on the occupied territories in accordance with the Minsk Argeements. “We are ready to work with politicians elected by Ukrainian Donbas. 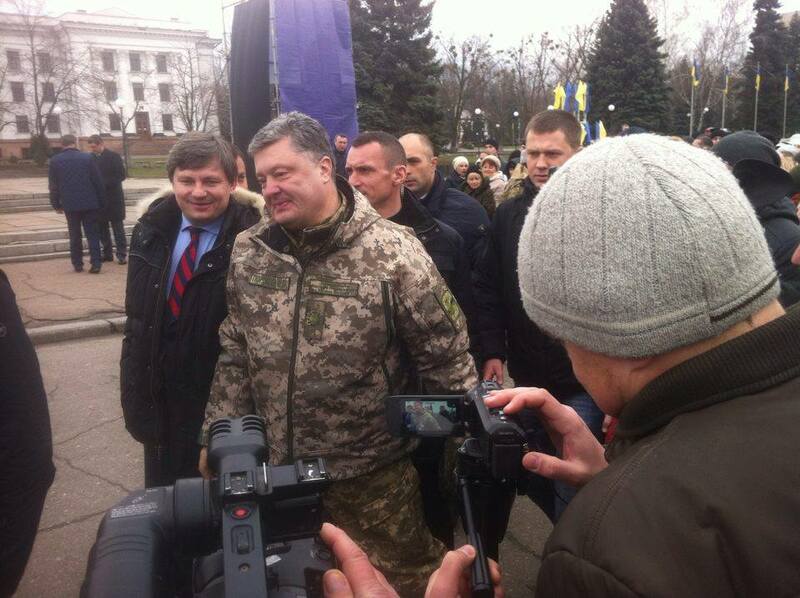 We are ready to restore Donbas sovereignty”, said Poroshenko. The President also thinks that the number of people who support the ideas of separatism on the occupied territories is decreasing. People with special needs who live in the Donetsk region need to be supported by the state. Even leaving the house is challenging for them. Donbas Public TV correspondents investigated into the issue. Kramatorsk streets which have already been renamed according to the Bill “On condemning the Communist and National Socialist (Nazi) totalitarian regimes in Ukraine and prohibiting propaganda of their symbols ” are to be renamed again. The decision on renaming Heroes of Ukraine street, Heroes of Heavenly Hundred street and Hryhoriy Skovoroda street appeared on the City Council site on March 28. The decision now has to be taken by deputies. There was a car crash with 5 victims on the occupied territory of Slovyanoserbskiy district of the Luhansk region. The information was presented by Sergey Ivanushkin, the so-called “proxy first deputy of the chairperson of the council of ministers, emergency situations department head”. Illegal “DPR” organization head Aleksandr Zakharchenko appointed “new proxy minister of agriculture and food”. It is Ivan Mikhailov, head of occupational administration of Starobshevskiy district.